A breakout game from Lexia Hostrawser and a frigid shooting night from Wawasee equaled a blowout Trojan win at the Trench. Hostrawser scored a career-high 16 points on 7-14 shooting and pulled down seven rebounds in her finest game to date. Hostrawser added two steals and hit a three-pointer. 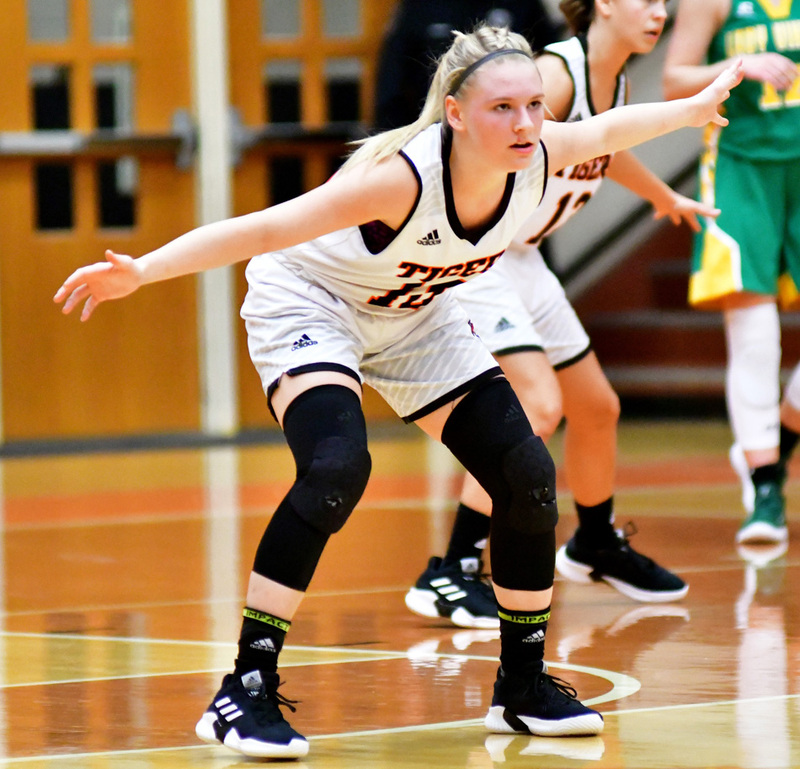 A very slow first half saw Triton finally break through in the second half for its first win of the season, using seven points from Delaine Groves and six points from Whytnie Miller. Jaela Faulkner added five steals, two assists and two rebounds. Triton led just 13-9 at the break, but came out in the second half to score 12 in the third quarter and held Wawasee to a single free throw in the third. Triton would then outscore Wawasee 16-5 in the fourth quarter, part of an overall 23-3 second half run. Triton also scored 24 points off of 19 Wawasee turnovers. Wawasee played without senior scorer Casey Schroeder, but did itself no favors by shooting 4-29 in the game, and were just 1-16 from the floor in the second half. Hannah Lancaster had seven rebounds for the Lady Warriors. Ava Harker led Wawasee with six points and Ella Beezley and Jadison Rostochak each had five points as Wawasee beat Triton, 24-18, in the JV game. Taran Yates led Triton with nine points. Triton (1-5) host NorthWood Tuesday while Wawasee (2-4) hosts West Noble Nov. 27. NorthWood’s last gasp for a tie fell short as No. 8 Norwell escaped The Pit with a two-point win. Trailing by two with eight seconds left, Kate Rulli had a look at the basket, but her shot rimmed out. Rulli finished with 12 points and twin tower Maddy Payne had 13 points for the Panthers. Kenzie Bergman chipped in six points. Maiah Shelton led the Knights (4-0) with 14 points and Kaylee Fuelling added nine points. Norwell won the JV game 50-31. NorthWood (4-2) visits Triton Tuesday. Another nailbiter saw Lakeland Christian end a two-game slide with a two-point win at Elkhart Christian. Anna Reimink had a big game with 13 points, six rebounds, three assists and three steals to lead the Cougars. Tori Calizo had 11 points and Jessi Calizo scored seven points and had three steals, three rebounds, two assists and two blocks. LCA trailed 27-23 in the third quarter, but outscored the Eagles 14-8 in the fourth. Maria Youngen led the hosts (1-2) with 11 points. LCA (3-2) hosts North Miami Tuesday night. Warsaw split its two games at the NLC-DAC Shootout at Northridge. Against Crown Point, the Lady Tigers found themselves down 11-0 early, only to go on a 26-11 run to close the half. Crown Point would rush the second half at a 30-13 clip to close out the win. Maddie Ryman paced Warsaw with 16 points aided by a 7-7 showing from the free throw line. Kacilyn Krebs added 10 points and three boards. Against Merrillville, Kaylee Patton provided the key contribution with three triples in the third quarter, helping Warsaw draw out a 13-point lead. Patton finished up with 14 points, six rebounds and five steals. Abby Senner came off the bench to score 10 points and tossed in six rebounds. Ryman had seven assists and finished her day 11-11 from the free throw line in the two games. Warsaw (3-3) visits Penn Tuesday.